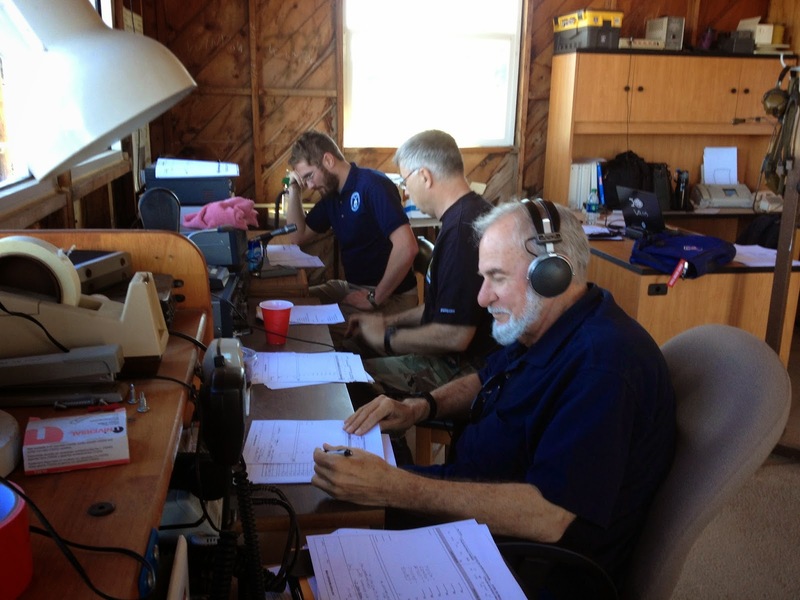 Squadron 188 - The Logbook: Statewide Communications Exercise a Great Success! 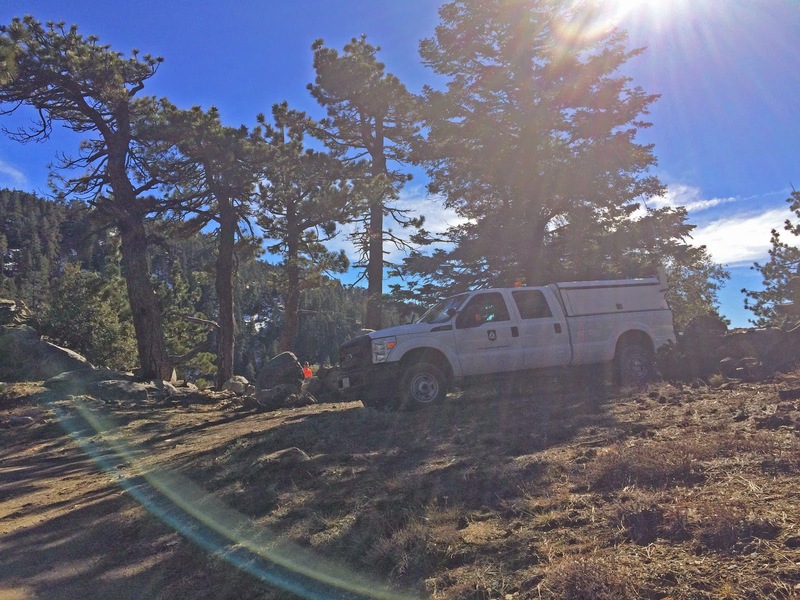 Statewide Communications Exercise a Great Success! 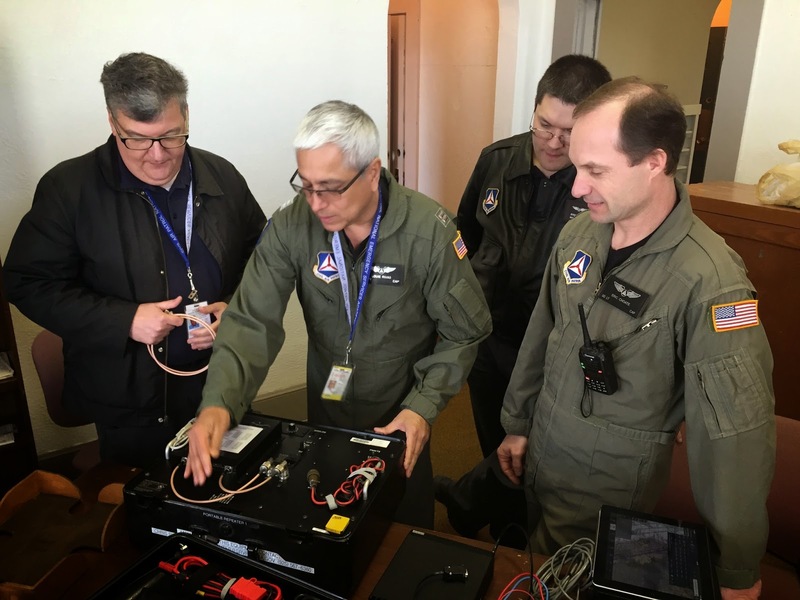 On a Saturday in January 2015, the California Wing (CAWG) of the Pacific Region Civil Air Patrol conducted a statewide Communications Training Exercise. Amelia Earhart, Senior Squadron 188 at the Oakland Airport North Field hosted the exercise and participated as the mission base for the entire state. Capt Luis Rivas, Maj Steven DeFord, 1st Lt Eric Choate. Photo by Maj Noel Luneau. One hundred and sixty-nine CAP members from all 8 CAWG Groups participated in the exercise, which also included 9 vehicles and one aircraft. An additional 6 aircraft on self-funded missions informally joined the radio message passing tasks. Each Group’s tasking generally included passing a pre-defined message to each of the other Groups. Each Group was also required to confirm receipt of messages from all the other Groups. A total of approximately 60 unique messages were sent, in many cases relayed, and received by their intended recipients throughout the state. Photo by 2d Lt Hollerbach. The exercise included message traffic using FM radio, HF radio, and an airborne tactical repeater. Radio operators from an incredible list of squadron facilities throughout the state participated: Oakland, Reid-Hillview, Auburn, Palo Alto, Sacramento, Santa Rosa, Brackett, Concord, San Luis Obispo, Santa Maria, Santa Barbara, Camarillo, Riverside, Costa Mesa, Los Alamitos, Palomar Mtn., Palomar Peak, San Diego, Montgomery Field, Fallbrook, Carlsbad Airport, Laguna Niguel, Chula Vista, Camp Pendleton, Chino Airport, Palm Springs, Hemet-Ryan, Big Bear, Bakersfield, Los Angeles, Chatsworth, and Rosamond; as well as in CAP vehicles in remote locations, on CAP-approved radio equipment at members’ homes, and in aircraft acting as Highbird (relays). Maj Noel Luneau, Squadron 188, acted as Incident Commander (IC) for the exercise, working closely with Project Officer, 1st Lt Jordan Hayes, Squadron 188, to make this event happen. Together, these two dedicated CAP members provided high quality leadership for the exercise, and Lt Hayes worked diligently for several months leading up to, during, and immediately after the event. Because of the many volunteers participating, Maj Luneau and Lt Hayes were able to organize the entire large-scale exercise and complete it with a budget of less than $1,000. 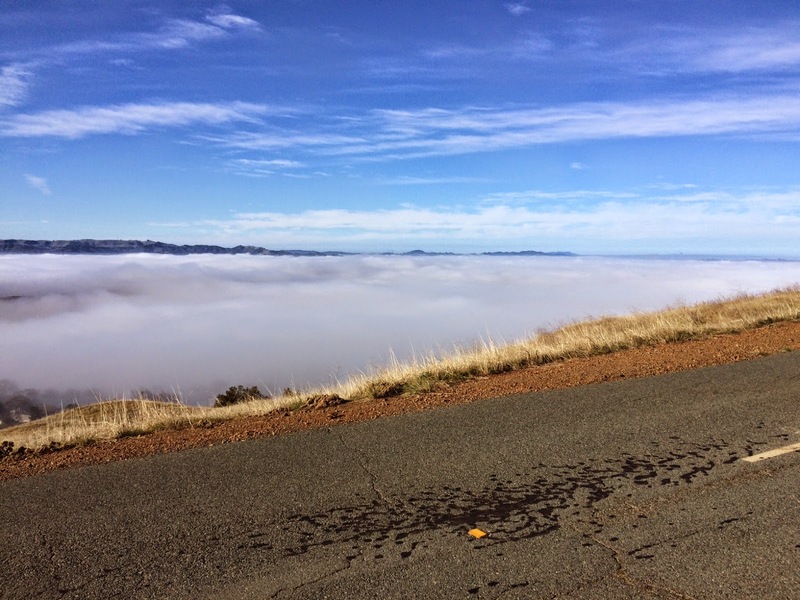 A ground team appreciated the quintessential Northern California view, complete with marine fog layer viewed from Mt Diablo. Photo by Maj Timothy Albert, Squadron 44. Participation in the event ranged from highly experienced communicators and planners to members working on their communications ratings for the first time to those of us who have gained some experience but who can stand to learn a lot from large-scale, realistic exercises. Maj Kenneth Thompson, Squadron 103. Photo by 1st Lt Bryce Dilger, Squadron 103. In the author’s case, acting as Mission Observer (MO) in one of the self-funded aircraft flying Highbird, and holding the Mission Radio Operator (MRO) rating without a large amount of experience to go along with that rating, lessons learned included, for example: After checking into one net using one of the relays, then even when acting as Highbird and expecting to talk to several different nets, before switching from one relay frequency to another, check out of the net! “Right, as a pilot, I knew that.” Somehow as an MO and not formally part of the mission’s flights, the author forgot… and promptly got thumped (virtually and in a friendly manner!) by a concerned Net Control upon rejoining the home net when returning to base. This is what training is all about. Using repeaters fairly far to the south in the State, the Highbird coming from San Francisco Bay Area Group 2 was successful in reaching Central Coast Group 4, and relaying messages back to Group 2 and Norcal Group 5.
transmissions. Photo by 1st Lt Richard Matano, Squadron 5.